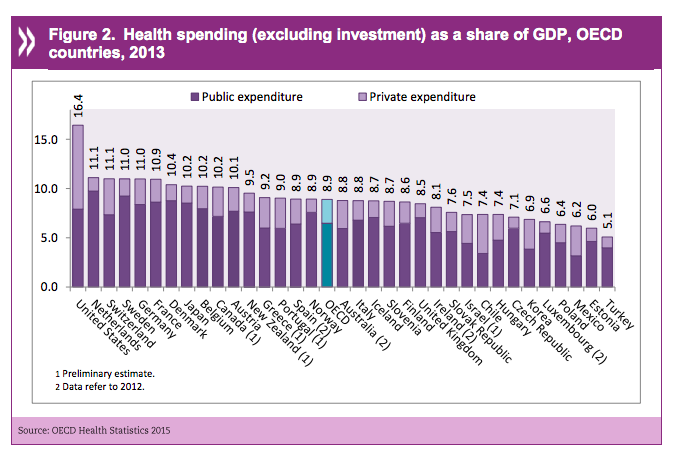 Anorak News | Insurance or the NHS: who pays for the rising cost of childbirth? Insurance or the NHS: who pays for the rising cost of childbirth? What does it cost to have a baby on the NHS? The Guardian says: having a baby without complications costs £2,790; having a baby with complications costs £5,000. Those figures are supplied by the Nuffield Trust, an independent charity. The Mirror says it would cost you “tens of thousands of pounds” to have a baby were it not for the NHS. Would it? Would you all really pay tens of thousands of pounds to have a child? 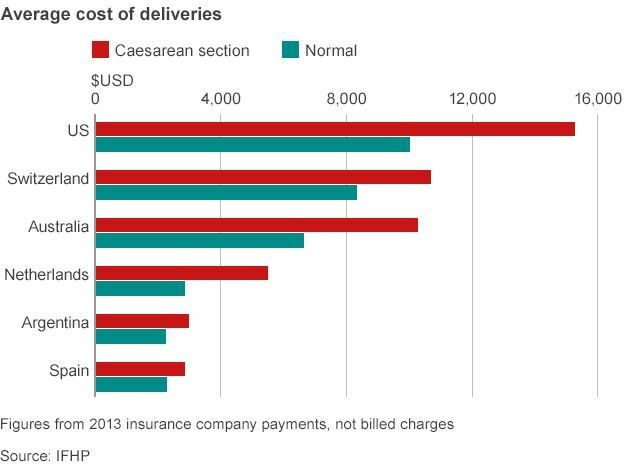 In the Guardian, another question arises today: “Why does it cost $32,093 just to give birth in America?” The inference, of course, is that the NHS does it much better and much cheaper that any other alternative system. The answer to the Guardian’s question is simple: there’s insurance that covers it. It’s less about what it costs than it is about who pays the bill and how it’s paid. Indeed, in paragraph five, the paper notes that “insurance typically covers a large chunk of those costs”. Medicaid, a program available to low income households that covers nearly all birth costs….Childbirth Connection put the average out of pocket childbirth costs for mothers with insurance at $3,400 in 2013. “If you can make more money as a doctor by ordering more tests, you are going to order them and therefore patients end up getting more tests. Recent studies have found that more than 30 percent of American women have Caesarean sections or have labor induced with drugs — far higher numbers than those of other developed countries and far above rates that the American College of Obstetricians and Gynecologists considers necessary. Matt Yglesias drools over the possibility of getting the entire country under the government’s healthcare thumb. Medicare is a particularly revealing program idea in this respect. At a deep level, the left sees all of us as the equivalent of senior citizens, dependent on the benevolence of government for our needs and wants. Of course, they will provide our needs as they see fit – they’re good people, you know. And so much smarter than the rest of us. There will be none of that wasteful drug spending we now have. How dare Americans spend their own money on treatments they actually want? It’s inefficient! This remains the key template for liberals: citizens as permanent supplicants. Those who do manage to look after themselves? Don’t worry. They’ll tax you till you really do need the equivalent of Medicare. And expect you to be grateful for it. Does your private quack do that? Would you want them to? Would you pay them to? And is it fair to take one part of your ‘cradle to grave’ health needs out of context? The message seems to be: if you can afford it, get insurance and read the small print. If you can’t, be poor enough to qualify for help but don’t expect many of the optional extras. And then ask if the NHS – a tax-funded, free at the point of delivery healthcare provider – serves the needs to the patient best, how it compares to foreign alternatives and if we shouldn’t be looking at other solutions, including better funding for community care?